Caron Butler’s memoirs, “Tuff Juice: My Journey from the Streets to the NBA,” was officially released on Wednesday. While the former Wizards All-Star forward mostly focuses on his rough childhood and the challenges of his teen-aged years, he also included several pages about his time in Washington, including a first-person account of the gun incident that tore the franchise apart. In this excerpt, Butler provides his first extended on-the-record account of the episode, which began in December 2009. On the flight home the next night after we lost at Phoenix, Gilbert, teammate Javaris Crittenton, and several other players were in a card game that got real heated. While Gilbert was a dominating presence on the team, Javaris didn’t roll with some of his ways. The players were in seats facing each other with a pull-out table between them. I was in the seat next to them half asleep as we began our descent into DC. When Gilbert put the money in his pocket, Javaris lunged over the table to grab him. Antawn Jamison, seated across the aisle, leaped up, shoved Javaris’s shoulder down on the table, and held it there with the full weight of his body while telling him to calm down. A man who has a $111 million contract shouldn’t be fighting over $1,100. Message not received. The two of them kept arguing as we buckled up for the landing. “I’ll see your [expletive] at practice and you know what I do,” Gilbert said. “What the [expletive] you mean, you know what I do?” replied Javaris. We had the next day off, but on the following day, December 21, practice started at ten o’clock at the Verizon Center so we all wandered in a little earlier. Someone outside the locker room called 911. Flip Saunders was the coach back then, but he was too scared to even come into the locker room. I was under no illusions that many of the rest of us were not going to be affected by the gun incident. I knew this was the end of the Washington franchise as we had known it. With Mr. Pollin gone, a new regime coming in, and the image of the team shattered by guns that weren’t even fired, it was time to tear up the Wizards, wipe the roster clean, and start all over again. All I said was, “Okay.” What else could I say? I’ve said it before and I’ll say it again, that 2008 to 2010 Wizards team doesn’t get nearly enough credit for being the craziest collection of individuals of all time. 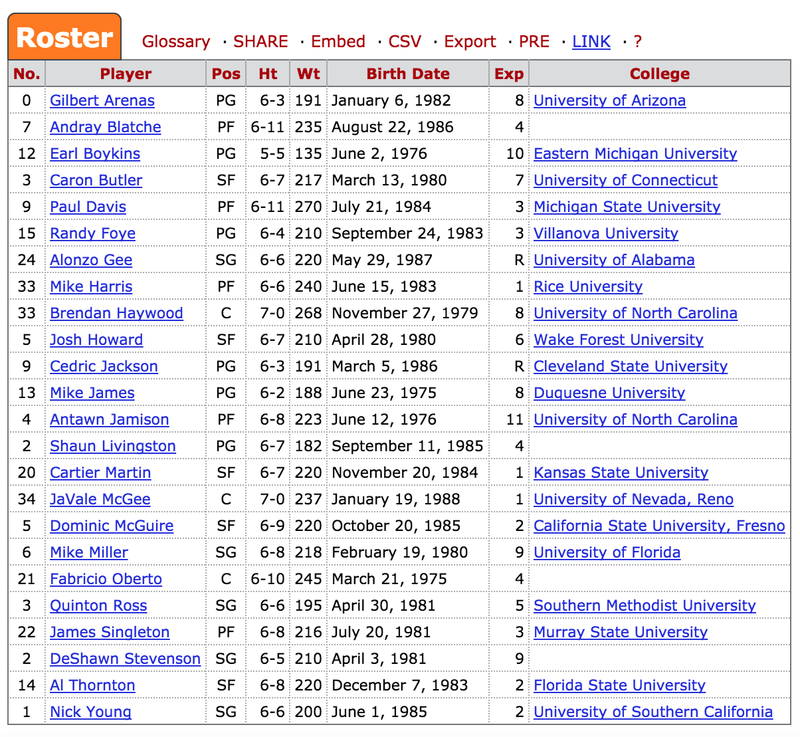 I mean look at this roster. At the time of the incident they had Gilbert Arenas… Javaris “currently serving a 23-year murder sentence” Crittenton… Andray Blatche… Deshawn “Abe Lincoln Neck Tat” Stevenson… Nick “Swaggy P” Young… Javale McGee… Cartier Martin… and Mike Miller all sharing a lockerroom. I mean think about that. That team was so filled with insanity that Swaggy P wasn’t even one of the five craziest guys on that team. 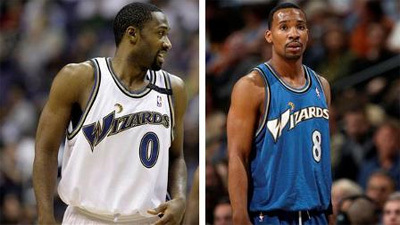 And that’s where all that crazy leads us… right to the Wizards locker room on that fateful night in 2010. Where an argument over $1100 during a game of airplane dice leads to an old western standoff between one teammate who’s gunplay was evidently all talk, and one who’s current 23-year manslaughter sentence shows his clearly was not. Just an absolutely surreal series of events, as told through the eyes of the one and only Tuff Juice.